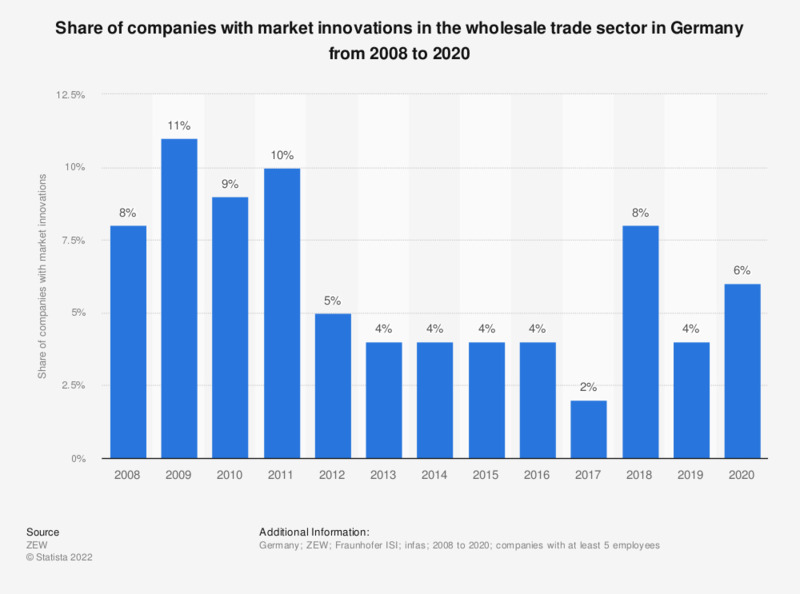 This statistic shows the share of companies with market innovations in the wholesale trade sectors in Germany from 2008 to 2017. In 2017, roughly 2 percent of German wholesalers released at least one market innovation. According to the source, companies with market innovations are defined as companies that were the first to introduce at least one new or significantly improved product to the relevant market within the past three years. The indicator measures the share of companies that extended the range of the industry by introducing original products.